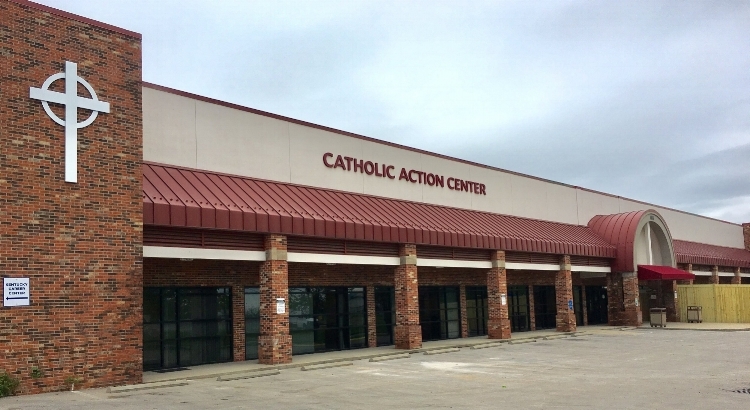 Founded in June, 2000, in Lexington, KY, the Catholic Action Center is based on the Catholic Worker Movement, began by Dorothy Day. The center is a house of hospitality that welcomes ALL who are in need. It is a faith-based outreach of volunteers who strive to provide all guests a welcoming place to receive their basic needs with dignity. The mission of the center is to “fill in the gap” of services for our brothers and sisters in need with no government funding by providing an opportunity for people of faith to connect with and serve the marginalized of our community. Three meals a day, shower and restroom facilities, mail receipt, a telephone, clean clothing and a place to gather are all a part of the hospitality offered. Caring ears to listen and connections with social service agencies are also available. Daily prayer services are held for those who hunger spiritually. Over 5.5 million meals served. Over 890,000 nights of shelter provided. Over 2.5 million items of clothing given. Over 225,000 showers taken. Over 95,000 loads of laundry cleaned. Over 90 funerals for souls who had no one. Millions of prayers raised to the heavens. Unlimited offerings of dignity, compassion, forgiveness, mercy by over 200,000 volunteers. NO GOVERNMENT FUNDING; NO PAID HELP. 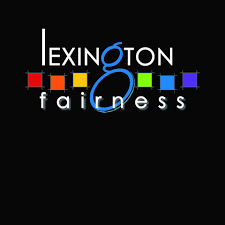 Lexington Fairness has provided leadership and opportunities that have shaped and responded to the changing times. Lexington Fairness is growing! More and more people are joining the work, and fundraising is underway. We will be present and visible at numerous events around the community, especially during the summer months when outdoor festivals abound. We will keep people informed about the importance of citizen interaction with their representatives, about policy initiatives in local government and educational institutions affecting our community, and about programs and events that help progress Fairness for LGBT people. AVOL’s mission is to collaborate with communities to End HIV in Kentucky. This bold mission for AVOL aligns our work with many “calls to action” recently emerging in communities throughout the Nation. We encourage people, organizations, formal and informal groups, elected officials and others in the community to do whatever it takes to get Kentucky’s numbers to specific levels in five key areas by 2023. Increasing to 90%, the number of people living with HIV who know their status. Never before since we began our work in 1987, have the tools available to us been so effective. We now know that people living with extremely low levels of HIV will not pass the virus along to others. This “viral suppression” involves many factors, most important of which is that persons living with HIV remain engaged in medical care and medication adherence. Our housing, support and empowerment services have proven to reinforce adherence leading to viral suppression. PrEP, an effective once daily pill taken to prevent the transmission of HIV, is becoming more and more accessible. Through these elements and traditional tried and true approaches like increasing access to testing, advocating condom use, education, reducing barriers, and raising awareness, together we can End HIV in Kentucky. The Kentucky Bourbon Bears would like to express our most sincere gratitude for your generous support of these wonderful organizations throughout our 8th annual event in February 2019. Our group’s mission is to provide philanthropic assistance to those in need and provide a safe & accepting place for ALL who need a welcoming hug, a shoulder to lean on, or someone to talk to. To learn more about our organization, visit www.kentuckybourbonbears.com. Have additional questions about volunteering? Sponsorships? Run pass questions? Feel free to contact the Event Chairman. © 2019 North American Bear Weekend. All Rights Reserved.